Arrow Lift Engineers Limited is an independently owned business. We maintain, repair, modernise, refurbish and install all types of passenger, goods and service lifts throughout London and the surrounding Home Counties. We have a wealth of experience, expertise and knowledge throughout the company covering all areas of the lift industry, we are committed to providing an excellent working environment for all staff and as a result, an industry leading level of service and support to our customers. We offer a range of maintenance contracts all of which provide you with a 24/7, 365 day emergency call out service delivering industry leading response times. Our engineers work on personalised routes allowing you to build a strong and personal working relationship with your designated engineer. We believe that this approach gives you the best possible return on your investment with us. Arrow Lift Engineers success has been achieved by providing a strong commitment to quality and customer satisfaction. Above all else we care about our clients. Our Planned Preventative Maintenance packages are tailored to each individual site. Our experience and knowledge of an extensive range of equipment types accross a broad spectrum of manufacturers ensures optimum performance and reliability for you. We have strong and long standing partnerships with a vast range of suppliers giving us rapid access to spare parts and components from all manufacturers.We pride ourselves on building and maintaining long relationships with our customers and retaining clients based on the value and service we provide. All too often we meet clients who are receiving poor service and have found that they are tied into a company by virtue of a signature on a ludicrously long maintenance agreement. We hold to the ethic that we retain clients because we deliver not because the client is trapped. Whether it is a small cosmetic or aesthetic upgrade or a full electrical and mechanical modernisation, our team will listen to your requirements and offer advice and guidance, working with you to deliver a sympathetic specification to fulfil both the requirements of health & safety, current standards and client expectations. We routinely produce specifications and plans to enable you to work within your budget to achieve the correct outcome. From concept through design to installation, we will deliver an end product that provides optimum value for money over its entire life cycle. Take advantage of the years of engineering and commercial expertise, experience and knowledge within our Company. Maybe you have doubts about the level of service you are currently receiving. Are your lifts being serviced to a high standard? Are you getting what you are paying for? Are you paying too much? Above all are you getting value for money? Are you confident in the advice you are receiving? We are able to offer a full consultancy service. We will listen to your requirements, develop a brief and deliver an end to end solution. 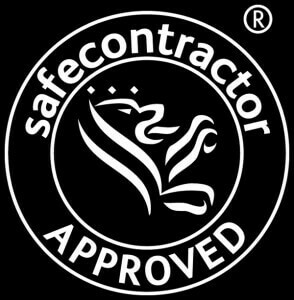 It may be that you just want another opinion regarding some repairs or on a quotation you have received from another contractor. Maybe you just want some honest and friendly advice. It may be that you need to modernise a single lift or a group of lifts; you may want a bespoke bulk maintenance contract. You may want a high quality new lift in a residential or commercial development. We are here to listen and would be happy to discuss your requirements. We are looking for honest and reliable people who share our desire for an excellent working environment and to deliver an unrivalled service to our clients. We are ideally looking for NVQ3 qualified engineers, however, age and experience is looked upon as a positive attribute within our Company. We support training and encourage staff to further their qualifications. We appreciate that many engineers with years of experience do not have NVQ qualifications and it is vital that the knowledge, skills and years of experience those people have accumulated is recognised and rewarded. If you are one of those engineers we would be delighted to discuss a position in our team. Carrying out planned maintenance on traction and hydraulic lifts of all types of manufacture, ranging from small document lifts to large car lifts and group systems. Carrying out fault diagnosis using circuit diagrams and test instruments and carrying out repairs in the event of breakdown of the above. As a service engineer you will share the work load of routine planned maintenance procedures and fault finding and repair on all types of equipment. We are recruiting for Engineers for Repair and Modernisation. Use the form below and one of our friendly team will get back in touch! When you submit your personal data to us it will be retained securely and accessible only to authorised personnel. We believe that your personal data we have belongs to you, the data subject. Your personal data will only be used for the purpose you have provided it to us and only for sufficient time for us to accomplish that purpose. This purpose may include making payments, the fulfilment of a contract, complying with a legal obligation, and for marketing purposes. You have the right to request information about our use of your personal data and to access, correct, or to erase your personal data, although there are some limits to these rights as well as legal basis for us to retain personal data. We will need to verify that any request made to us is made by the person who owns the data. If you wish to exercise this right please contact our data controller by email, [email protected], or by writing to us.